UNIMUSEUM aims to contribute to the literature by publishing manuscripts at the highest scientific level on all fields of university museums . The journal publishes original research and review articles that are prepared in accordance with the ethical guidelines. 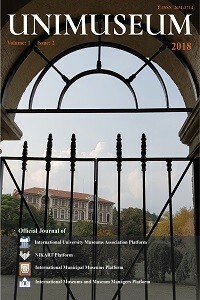 The scope of the journal includes but not limited to; museum studies, cultural heritage areas, university museums, museum management, museum education, museum planning, museum technology, museum marketing, collections and archives.